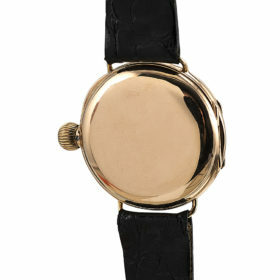 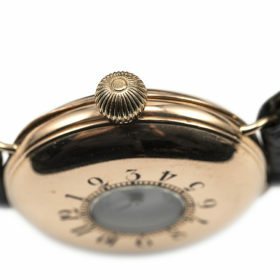 This early pocket watch converted to wrist watch serves as a distinctive timepiece. Originally crafted in 1893 by the prestiegous Jaques & Marcus, New York. 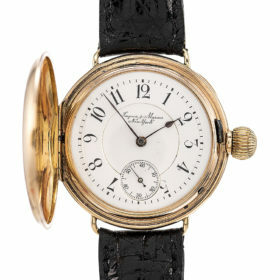 This watch features a distinctive half hunter case design indicated by the circular glass panel in the center. 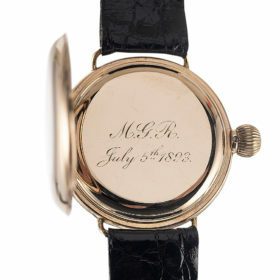 This gives the wearer the option to read the time with a closed case, or open the lid to have full view of the face and sub seconds dial. 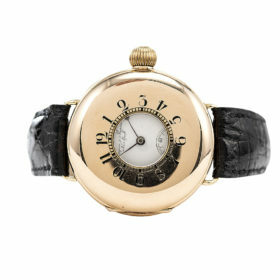 The case is elegantly crafted of 14K rose gold. 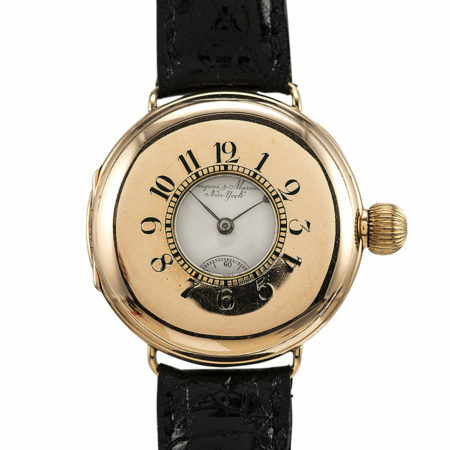 The 17 jewel Patek style movement features a enamel dial with Arabic numerals.